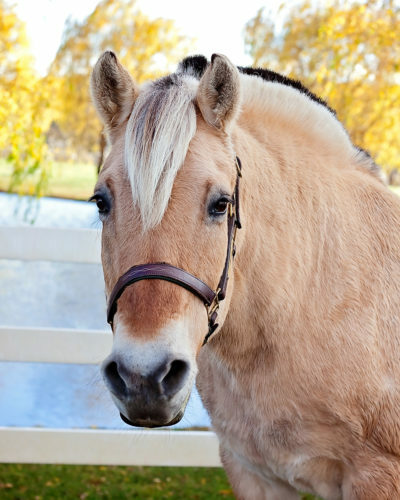 Fleeta’s small size and even gait make her perfect for our Hippotherapy program and our smaller riders. 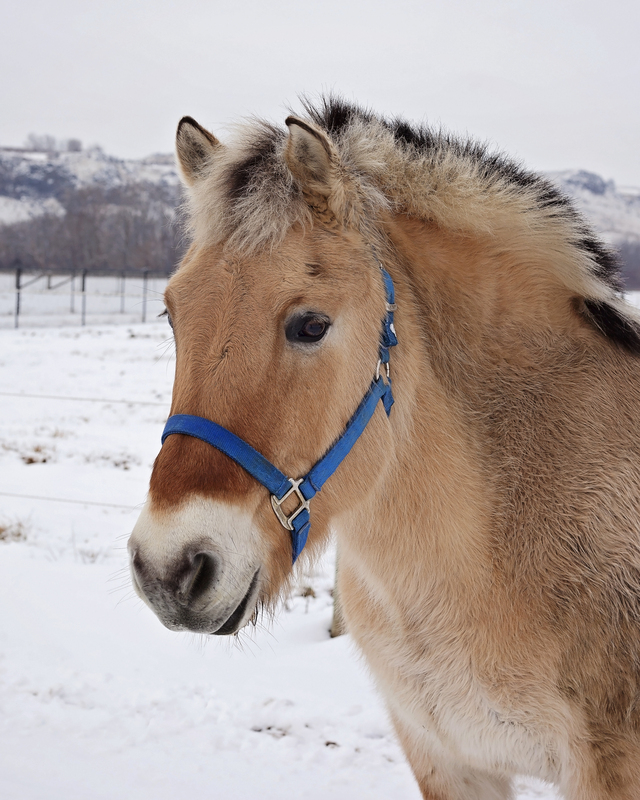 Don’t let her cuteness blind you, there is a smart pony mind under all that hair. A quick, curious learner, Fleeta loves to investigate all the toys that are being used for lessons, and it doesn’t take her long to acclimate to new things. Reina is broke to ride and drive, and we currently use her in our Hippotherapy and Driving programs! 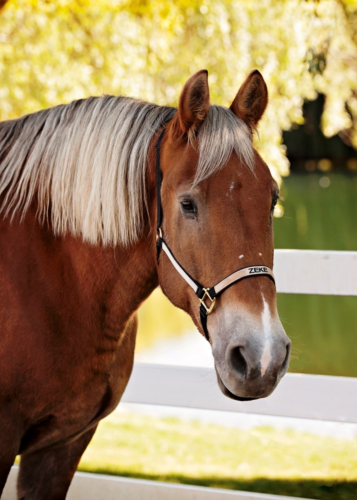 Reina is as solid as they come, and does great with a variety of riders. 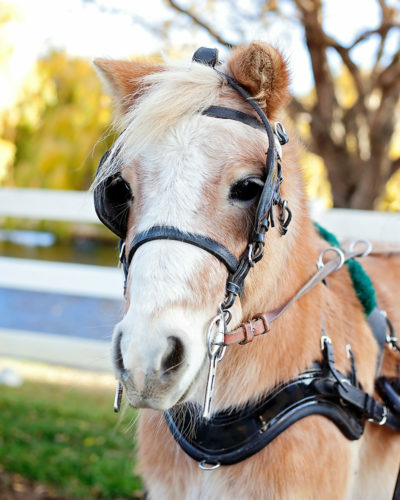 This adorable pint-sized pony comes to us with a background of driving as a cart pony. 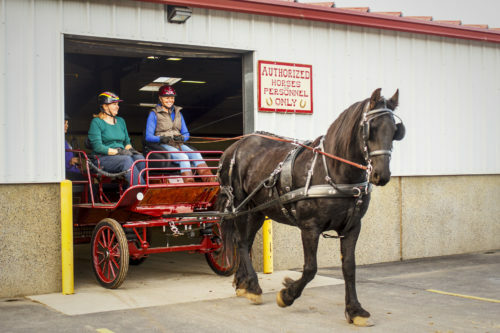 She allows children and smaller adults who cannot fit into our large carriage to still have an opportunity to experience this wonderful and exciting sport! 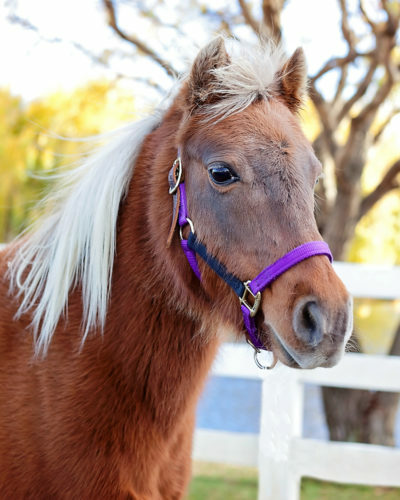 Ginger is a sassy little girl who takes care of our tiniest of riders, and also visits senior care facilities each week with our Pony Pals program! Monty is a spunky little guy who has been a great addition to our program! 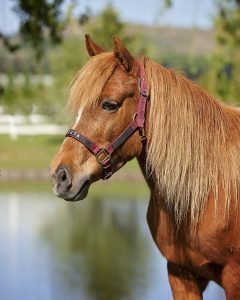 He was a pony club mount for many years, and brings a world of experience and training to our riders. He is calm and careful with beginners, but will also allow our more experienced riders to advance their skills! Duke is such a handsome boy! He mostly has a Western Pleasure background, and will be a huge asset in helping our more independent riders advance their riding skills! Pedro is a sweet ol’ guy with a quiet personality. 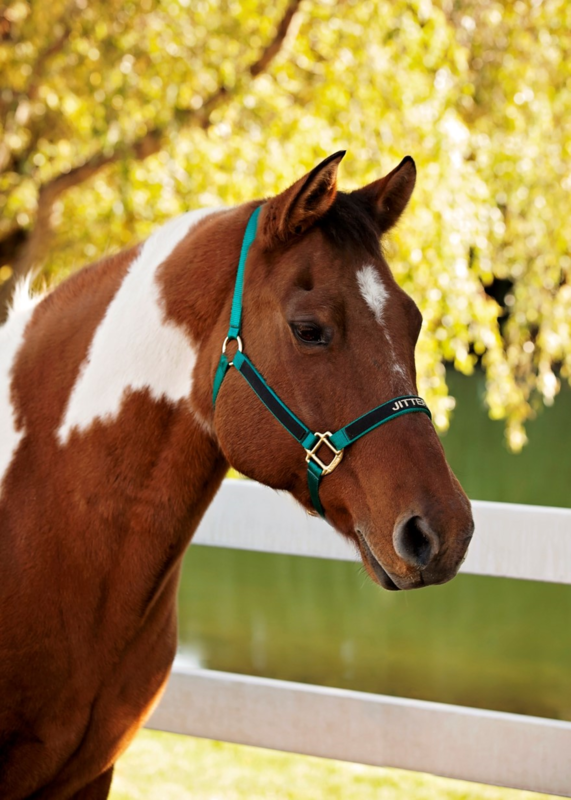 He has experience in Western Pleasure and trail riding. 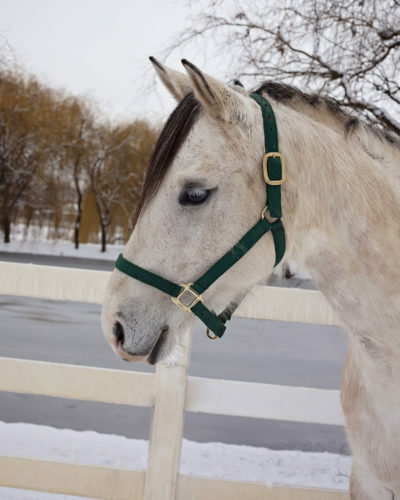 He is a wonderful horse for our independent riders to advance their skills on, yet also has excellent ground manners and does great with our littlest riders on lead line. Zeke is a gentle giant who has many years of experience as a vaulting horse and being a therapy horse at another center. 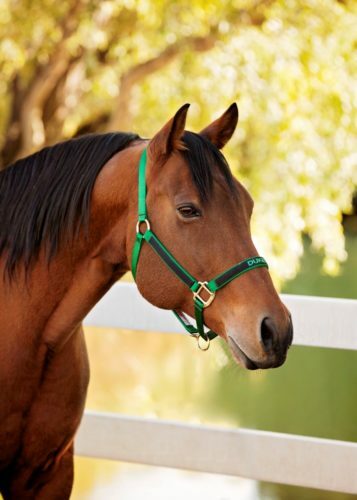 This big guy is solid, safe, and allows our larger riders to experience their lessons from new heights! 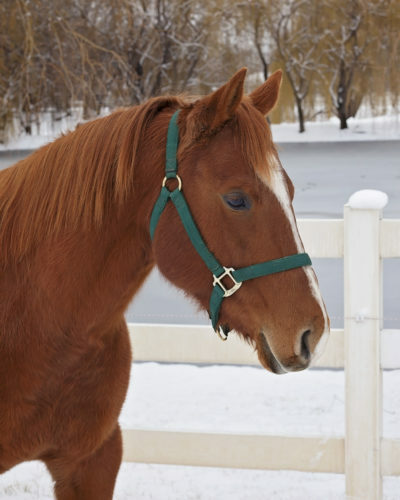 He’s a fun ride and a great horse for those advancing to working on the canter. Pearl is our therapy horse in-training! The girl has such a nice mind and we our so excited for her future in this program. We have been exposing her to everything she will encounter during lessons here, so that by the time she is ready to be a lesson horse, she will be ready for anything! Jitters is a sweet ol’ guy that could not be a better fit for our program! He is patient with beginners, and skilled enough to challenge our more intermediate riders. He has a wonderful temperament, and we wish we had 5 more just like him! He is such a treasure! 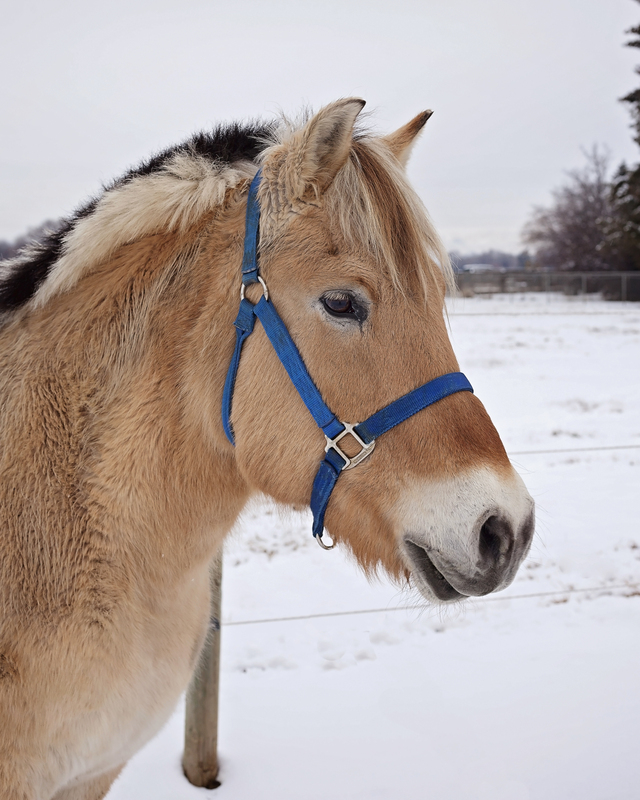 Gretchen is a sweet mare owned by one of our driving volunteers. She works really well with our more advanced driving students! Thor is our driving horse in-training! This gentle giant is large enough to pull our wheelchair accessible carriage with ease and will be an asset to help grow our driving program to it’s full potential. He has spent his life as a trail and Search & Rescue horse, and has the right temperament to be very successful in a therapeutic driving program.